To promote its cars, the auto manufacturer optimised its marketing campaign for mobile, piquing interest and winning an impressive number of test drive signups. 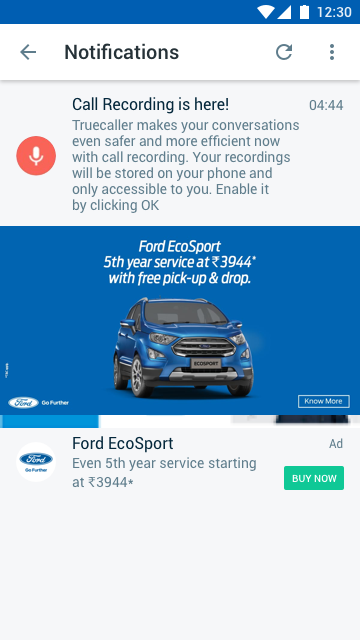 Ford wanted to leverage the data base & reach out to existing & potential customers who call on their dealerships (sales & service) & have specific communication around their ‘cost of service’ campaign basis audience segregation. 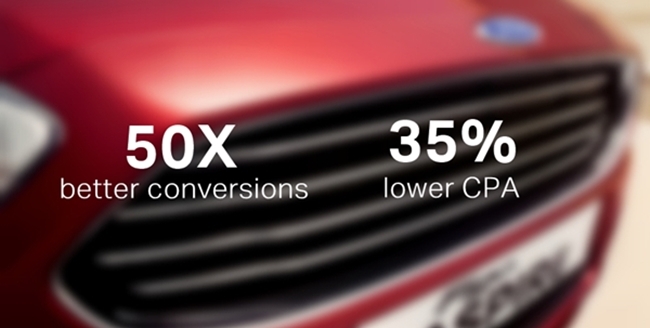 The automotive dealer wanted to generate better leads without increasing its marketing budget. It turned to Truecaller to target people whom it might not reach via traditional media. 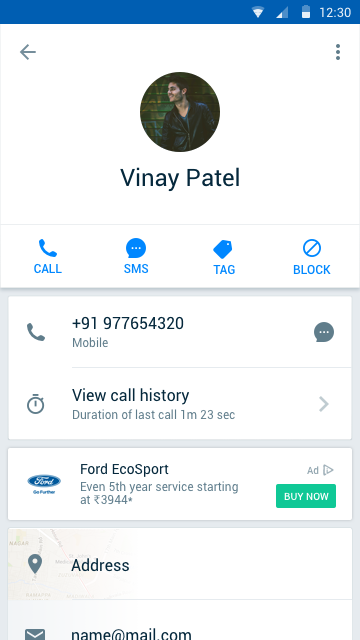 Truecaller built a unique custom audience for Ford, targeting existing Ford customers (basis calls made to/from service stations) and potential customers (basis calls made to/from sales dealerships). This was done using first of its kind Call Intent Targeting (CIT) Technique. It involves custom messaging to highly relevant audience, that translates into real results, visible in improved digital advertising funnel, ROI and eventually business growth.